GRABLY RESTAUTANT IN THE CENTRAL CHILDREN’S STORE IS LAUNCHED! 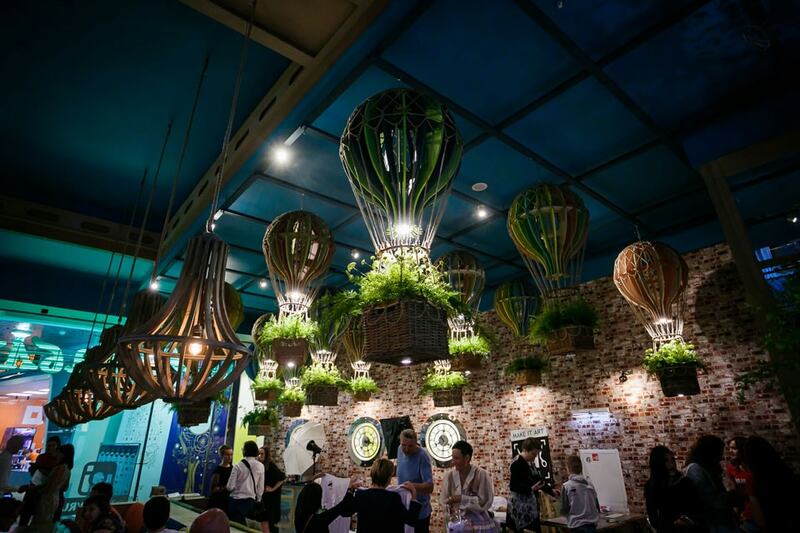 The official launch of “Grably” restaurant took place on 24th August, 2015 in the Central Children’s Store. Traditionally, all the restaurants of the chain are noted for their original interior and own history. And “Grably” restaurant in the Central Children’s Store has not become the exception. Quite the opposite, this restaurant has gathered together all the experience of its founders and ideologists. 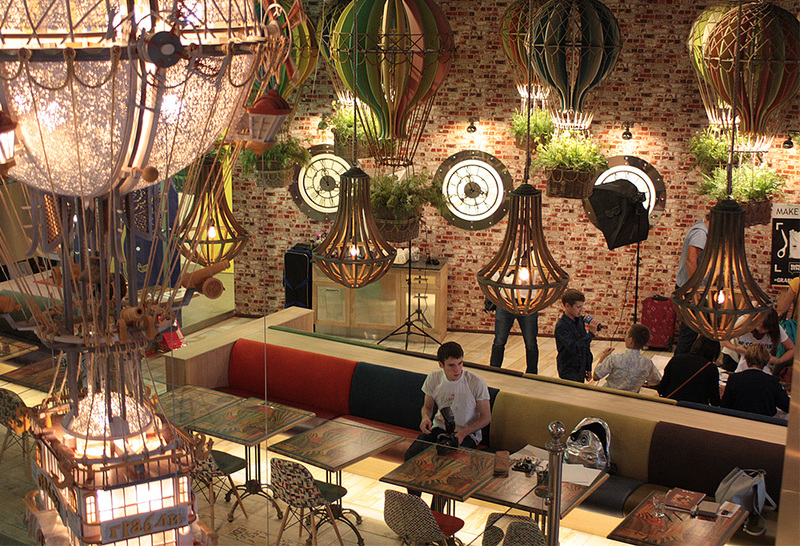 A unique atmosphere of aerostatics created by Roman Rozhnikovskiy, owner and mastermind of “Grably” restaurant chain and by Alyona Tabakova, architect, provokes interest among adults and little guests of the restaurant. 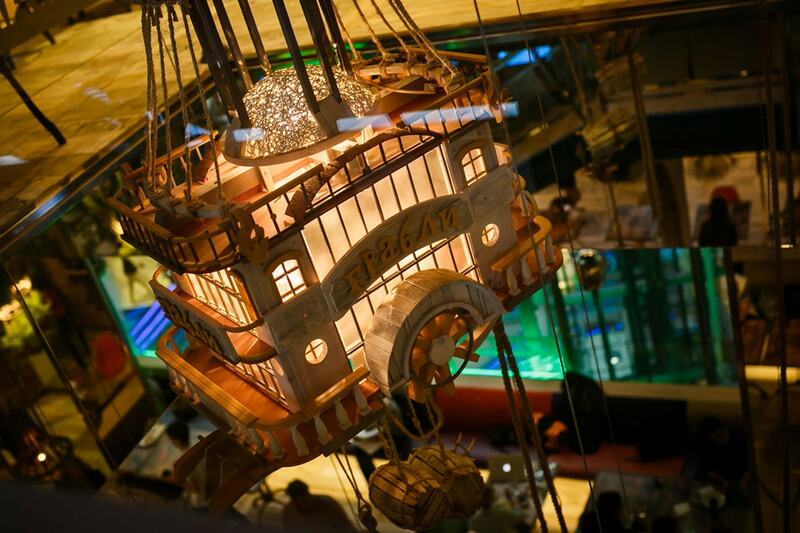 Intricate vintage mechanisms, a real air balloon flying between two floors of the restaurant and outlandish airship flying in the air make one want to visit any place in the restaurant like in museum looking at every detail. Read more information. 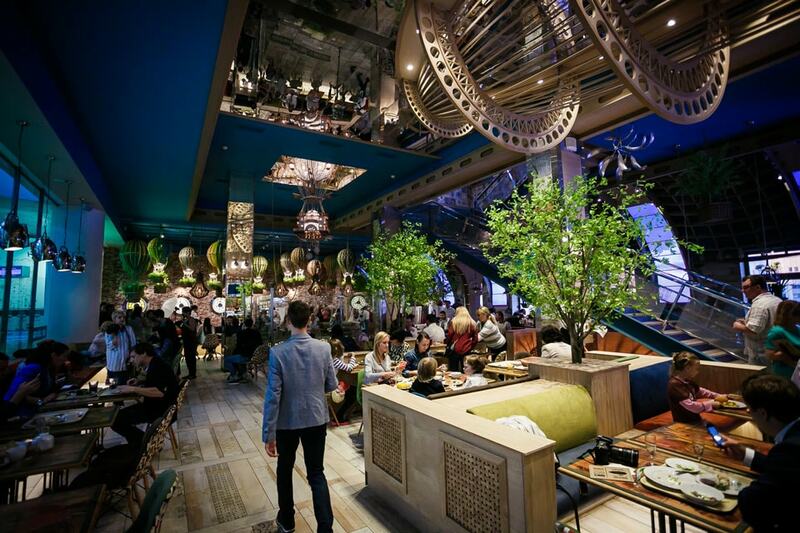 The restaurant’s concept is the symbiosis of ideas of art décor and modern art. 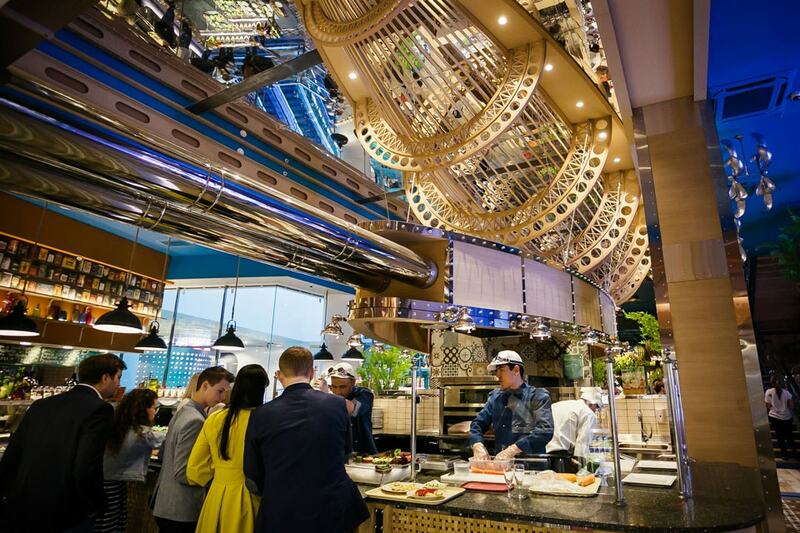 Authentic décor of the restaurant, full of airships and air ballons, refer the visitors to the history of aerostatics and modern high-tech interior creates the impression of immersion into the object d’art. The launch of the restaurant was accompanied by mega festive show with a great number of invited guests. A driving program was organised for them, it had entertaining contests and a lot of dainty dishes. 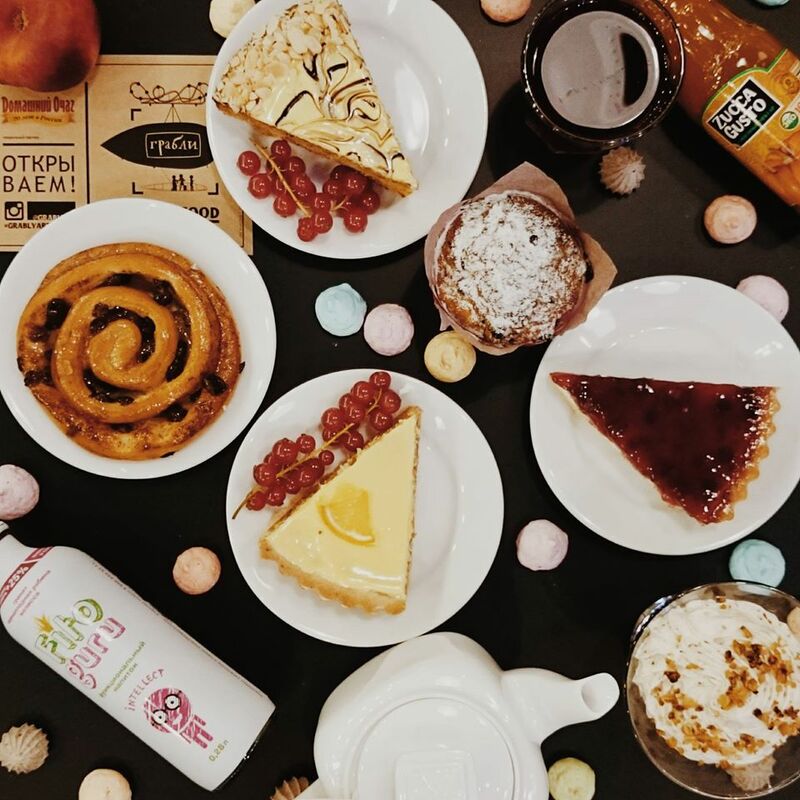 “Grably” restaurant in the Central Children’s Store occupying two floors is marvellous not only by its facing the scenic viewpoint but it has also surpassed its predecessors in respect of diversified menu. 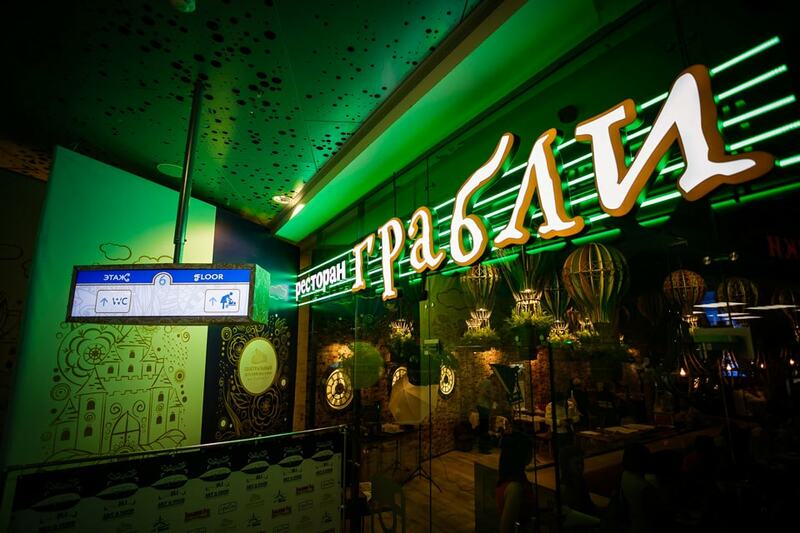 Besides standard menu of the “Grably” restaurant chain, mostly based on European and Russian cuisine, the restaurant in the Central Childrens’ Store also offers to its visitors oven-fresh pizza and Japanese sushi. The Party with the high taste of brilliance! The design – it is something incredible! 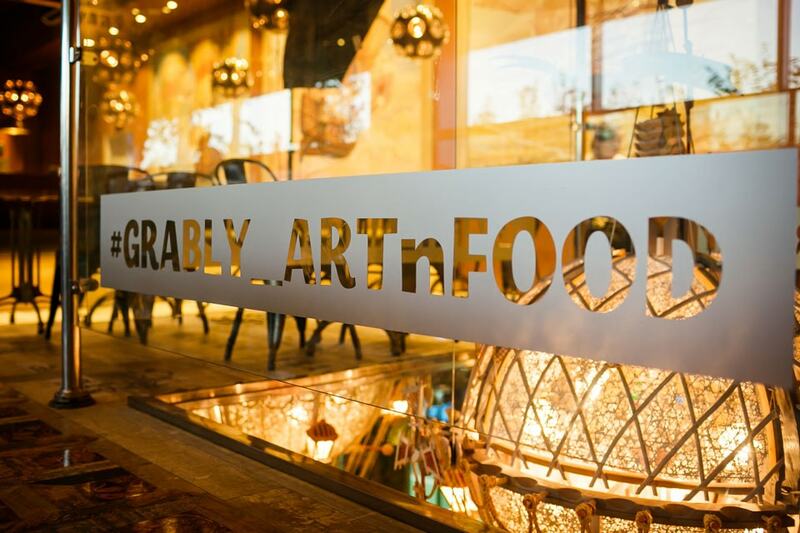 Today at the opening of the new and very beautiful “Grably” restaurant, which is situated in the Central Children’s Store on Lubyanka, I took part in the Best food-photo competition for Instagram. And won. Huge airship right above the heads of the guests in the first floor! 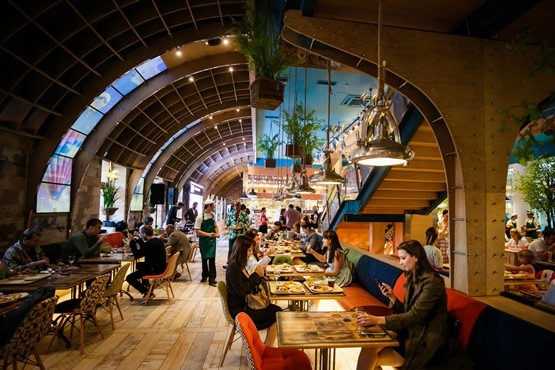 Instagram of the “Grably” restaurants chain was also full of Opening ceremony photos containing the chronology of the event, interior details and, of course, tasty dishes of the restaurant. From now on the Object d’art restaurant is waiting for anyone who wishes to enjoy the cuisine variety and unique interior. Come visit us, the meal will be tasty!